That poor soul from the other day who insisted Lincoln never said that blacks shouldn’t be voters or jurors, or intermarry with white people, or that he had no intention to interfere with slavery where it existed, still thinks the Constitution’s Supremacy Clause makes state nullification unconstitutional. In other words, he accepts the interpretation current in American law schools. I do not intend this as a compliment. Alexander Hamilton, at New York’s convention: “I maintain that the word supreme imports no more than this — that the Constitution, and laws made in pursuance thereof, cannot be controlled or defeated by any other law. 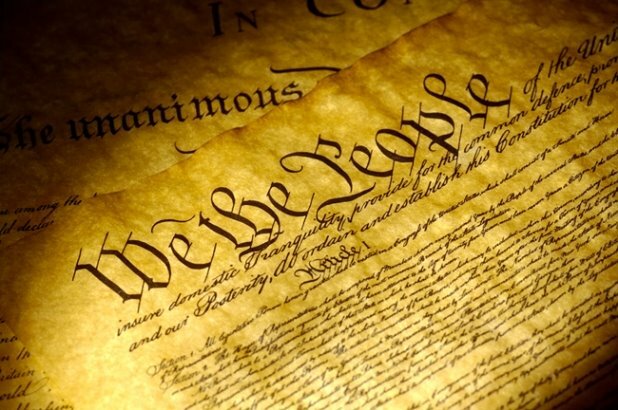 The acts of the United States, therefore, will be absolutely obligatory as to all the proper objects and powers of the general government…but the laws of Congress are restricted to a certain sphere, and when they depart from this sphere, they are no longer supreme or binding” (emphasis added). Thomas McKean, at the Pennsylvania convention: “The meaning [of the Supremacy Clause] which appears to be plain and well expressed is simply this, that Congress have the power of making laws upon any subject over which the proposed plan gives them a jurisdiction, and that those laws, thus made in pursuance of the Constitution, shall be binding upon the states” (emphasis added). For more on this, see Brion McClanahan’s Founding Fathers Guide to the Constitution.